At Hellenic College Holy Cross Greek Orthodox School of Theology, our mission is to prepare men and women for leadership by creating an environment that fosters growth in knowledge, faith, and service. 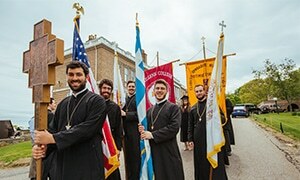 Because of its Orthodox Christian identity, the Hellenic College Holy Cross environment is not passive when it comes to the question of faith. It does not hesitate to raise the question of faith. On the contrary, it recognizes that faith is precious and that society gains when its leaders are grounded in faith after having devoted themselves to an experience wherein their faith can be deepened. Our school environment, with Holy Cross Chapel at its heart, provides people with the opportunity to have such an experience. Holy Cross Chapel is located at the highest point of the Hellenic College Holy Cross campus. It is built in the Byzantine style typical of the 11th and 12th centuries and modeled after the Church of the Holy Apostles in Athens, Greece. 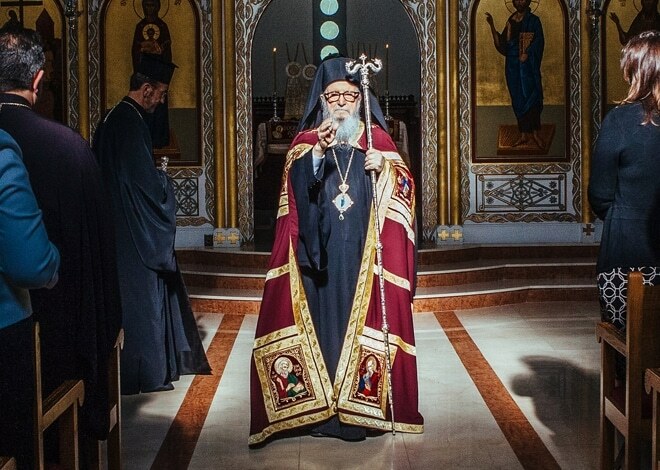 Under the leadership of Archbishop Michael of blessed memory, the Greek Orthodox Youth of America (GOYA) raised the funds for the construction of the Chapel. The Chapel is dedicated to the memory of the Archbishop and all of those who came to America in earlier years and planted the faith here. The first services in the Chapel were held at the graduation exercises in 1963. 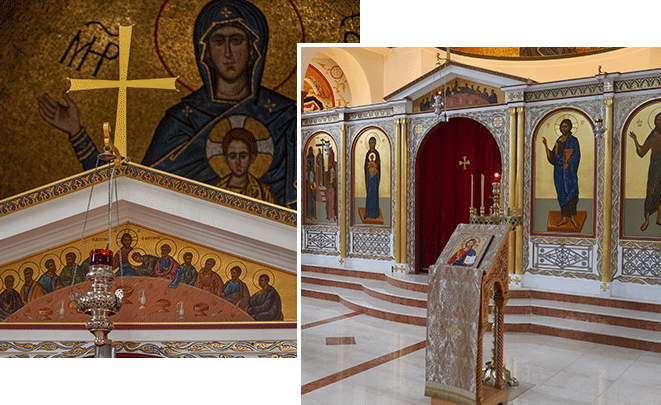 Beautiful mosaics of the Pantocrator and the Platytera by Demetrios Dukas grace the interior. Extensive renovations to the interior and exterior of the Chapel were made in recent years. Many relics in the Chapel are available for veneration. A large blessing cross with a piece of the True Cross is kept in the sanctuary. Three hierarchs are buried outside, behind the apse on the east side of the Chapel: Archbishop Iakovos of North and South America, Metropolitan Silas of New Jersey, and Bishop Gerasimos of Abydos. Third-year seminarian James Nemkovich is our current Ecclesiarch. In that very important role, he ensures that Holy Cross Chapel is always properly prepared and staffed for the many services that take place there. 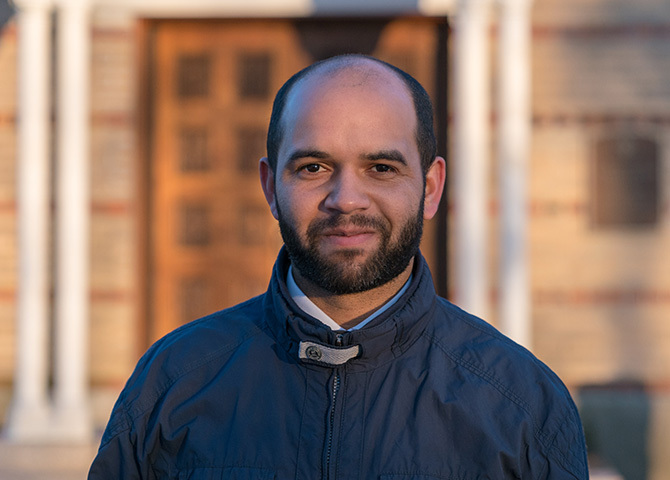 With the help of the assistant Ecclesiarch, James oversees a team of fellow Holy Cross students who perform various essential functions, from maintaining the Chapel and the precious liturgical vessels to baking prosforo—all to ensure the purity of worship in that sacred space.